National Security Advisor says that Israel's condemnation of Kerry's boycott threats are "unfounded and unacceptable." Susan Rice, U.S. President Barack Obama’s National Security Advisor, blasted Israel on Monday over its criticism of Secretary of State John Kerry’s threats of a boycott should peace talks with the Palestinian Authority (PA) fail. Rice’s comments are the latest in a series of American replies to Israeli officials who criticized Kerry for his threats at the Munich Security Conference this weekend, and come just hours after State Department spokeswoman Jen Psaki told reporters that Kerry was “frustrated” by suggestions that he’s anti-Israel. “Secretary Kerry himself personally has a proud record of over three decades of steadfast support for Israel’s security and well-being, including staunch opposition to boycotts,” said Psaki. “There is no greater or opponent to boycotts – or proponent of Israel’s security and their future,” she added. On Sunday, Psaki took to Twitter to stress that Kerry did not mean to threaten Israel. 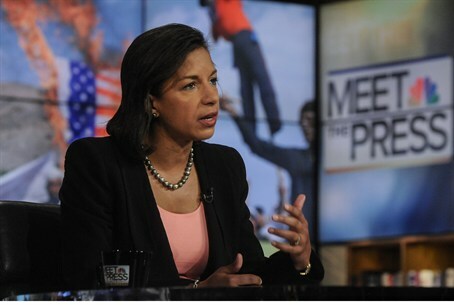 In both cases her comments were not as harsh towards Israel as Rice’s tweets were. Kerry’s comments in Munich were blasted by many Israeli officials, such as Jewish Home chairman Naftali Bennett, who made clear that “a country has yet to be born that will give up its land because of economic threats, and we won't either. Only security will bring financial stability, not a terror state next to the Ben Gurion Airport." Communications and Home Front Defense Minister Gilad Erdan also criticized Kerry on Monday, saying he was not a fair intermediary in the peace talks with the Palestinian Authority (PA). "Currently threats are still heard against citizens of Israel and they try to terrorize us. When we hear John Kerry and the American State Department, we think they are wrong in their analysis of what's happening in the Middle East," he said, speaking at Arutz Sheva's eleventh annual Jerusalem Conference. "It would be expected from someone who's supposed to be a fair and objective intermediary to also tell the Palestinian side about the price they will have to pay over their stubborn refusal to recognize the right of the Jewish people to their own nation state," remarked Erdan. "Where's the Palestinian price on all the continued incitement against Israel's existence?" Deputy Defense Minister Danny Danon shot down the idea that Israel might buckle under the pressure being exerted by Kerry.